Laver Cup is the latest attempt in tennis at creating a new premium event, inspired by Ryder Cup in golf. The inaugural edition became a roaring success. When I first heard about Laver Cup I can admit I was skeptical. The Ryder Cup has been around since 1979 and to make an individual sport into a relevant team tournament isn’t an easy feat. It takes time and hard work. 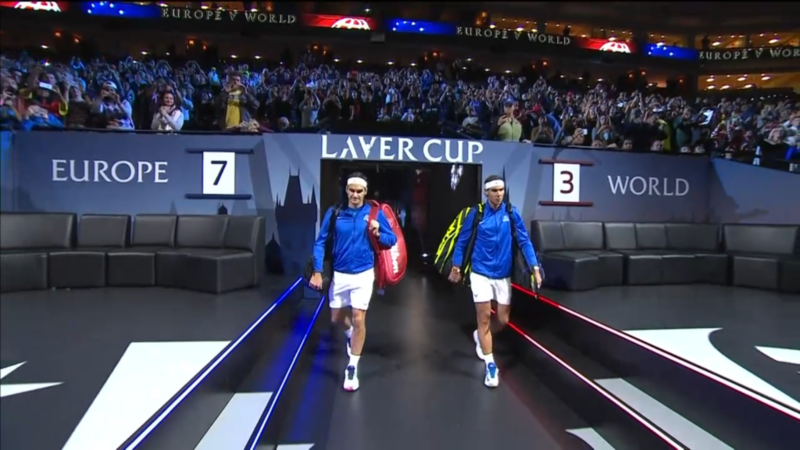 But the organizers had surely worked hard around the Laver Cup. The setting was spectacular, the court and surroundings were dramatically blacked-out, the scoring system carefully selected and the teams, who looked kind of one-sided before the event, were the perfect vehicles for drama and emotion. 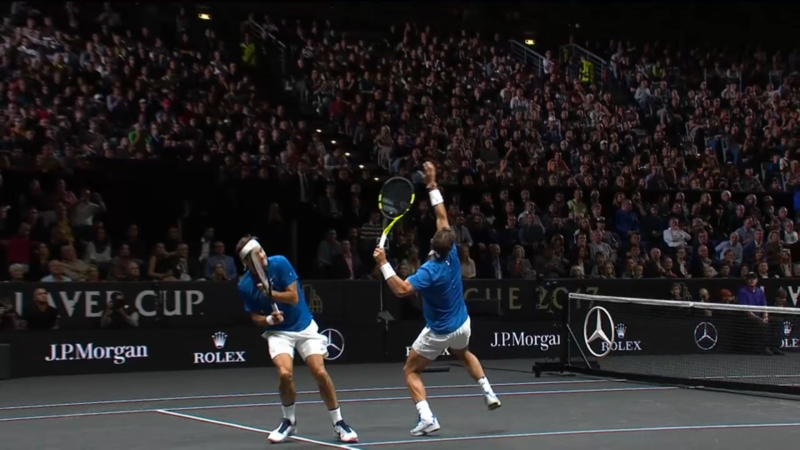 Just having Rafael Nadal and Roger Federer play doubles together (they won a tight affair against Jack Sock and Sam Querrey) was a highlight for most tennis fans. Europe seemed like too massive of a favourite in to make it into a contest and raced to a big lead, but Team World fought back and when Federer and Kyrgios were contesting the last scheduled match of event the setup was like this: If Federer won, Team Europe could be declared winners, while if Kyrgios won, the score would be 12-12 and there would be a one-set doubles decider. Dramatic! Kyrgios played a great match and had a match point, but Federer came back and won the match 11-9 in the match tie-break. He jumped around the court like a young boy while Kyrgios couldn’t hold back some tears from that bitter defeat. It was the kind of Hollywood drama that tennis needs and afterwards not many could be negative about the Laver Cup. I think the Team World press conference summarized in a good way. In the Team Europe press conference Federer had to field the most questions since he is one of the guys behind the event. What he was most happy about was that the players stayed around to cheer for their team mates since that was completely optional. That helped in creating a strong team spirit that you could really see on the faces of the players. Laver Cup amassed massive media coverage and lots of interest among tennis fans. Let’s hope they can sustain the nice feel for future generations of the tournament. Next year’s Laver Cup takes place in Chicago in the end of September 2018. Imagine a Team Europe with Federer, Nadal, Djokovic, Murray, Wawrinka and Zverev…doesn’t seem a hundred percent fair! Laver up ended 15-9 in Europe’s favour. 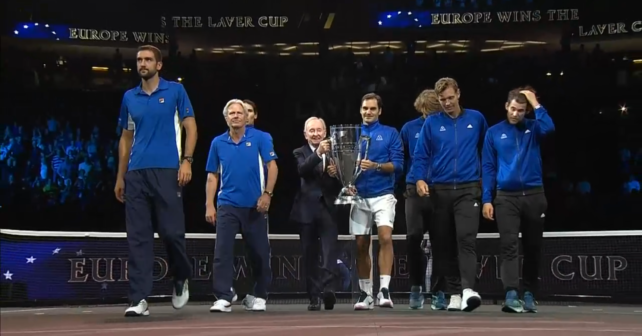 What did you think of the Laver Cup? Please comment below! Spot on. Looking forward to this event in Chicago next year.